Daffy has made her way across the ocean to us at Carter’s so that we can help her find a loving family to call her own. Daffy has had a rough start in her life, but despite that, she is just the sweetest girl. It takes her a few minutes to warm up, but once she does, there is no stopping her! Daffy is approximately 5 years old. 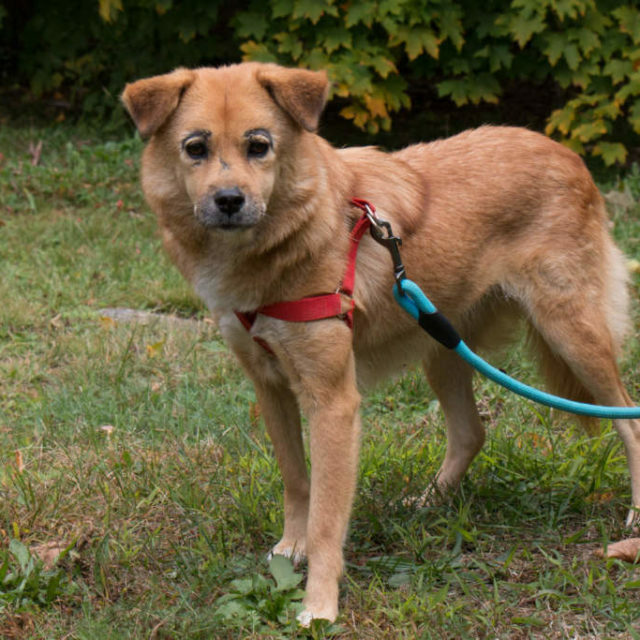 She is house-trained, plays well with other dogs, sleeps through the night, and is just a little love bug. If you are interested in adopting this lovely girl, please complete the adoption application. Once the application has been received and reviewed a member of the team will be in touch to set up a meet and greet. Daffy’s adoption fee is $500. and includes her spay, up to date vaccinations and micro-chip.